Our company has acquired prominent position in the market due to its financial stability and regular adoption of modern processing techniques & technology. Send Inquiry Bouillon CubeHEBEI TOMATO INDUSTRY CO LTD. The food in India is as diversified as its people and culture. Thus, food ingredients plays a very important role in Indian dishes as it adds flavor and color to the dishes. The perfect combination of the Healthy Food Ingredients enhance the taste and look of the Indian cuisine. Food Ingredients Manufacturers make sure that all the products are processed under the safe and hygienic environment in order to prevent these products from adulteration and impurities. To remain the natural properties of the ingredients for longer period of time, the Food Ingredients Manufacturers and sellers use premium quality packaging material. 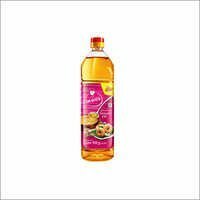 The extended range of Healthy Food Ingredients include vegetable oil, spices, starch, sugar, fats, edible oil, turmeric powder and more. Buyers can send bulk inquiries for these food ingredients. Just choose the company which meets your business demands and send instant inquiry directly to it via SMS or email.